I worked at Arley Hall and gardens late last year and was blown over by how spectacular this wedding venue is. Nicola and Charlie. were the lucky couple to book me as their Arley Hall wedding photographer and their wedding was easily one of my favourites from last year. It’s such a perfect wedding venue, the roads leading up to Arley were the first clues to this being an amazing venue then walking down a fantastic avenue of Lime trees reveals the clock tower and the stunning adjacent barn, these have been a long favourite by many for some fantastic wedding photography. Just a little walk unfolds the stunning and historic Arley Hall stately home and it’s surrounding gardens which, are all beautifully well kept, all perfect waiting for your wedding photos. From the long path to the famous Sundial Circle, the avenue of cylindrical Oak trees, the beautiful herbaceous border and the grade 1 listed barn known as The Ride, there is so much variety that I could spend a whole day photographing there and that would only be scratching the surface. The interior is equally as beautiful, with the stunning library overlooking the courtyard to the magnificent grand oak staircase leading down to the beautiful ceremony and reception rooms. Its a wonderfully captivating wedding venue, some say it’s also one of the finest wedding venues in Cheshire, I couldn’t agree with that more and I love working there. If you are looking for Arley Hall wedding photographers, please don’t hesitate to contact me, I’m here to help and I’m more than happy to answer any questions you may have. 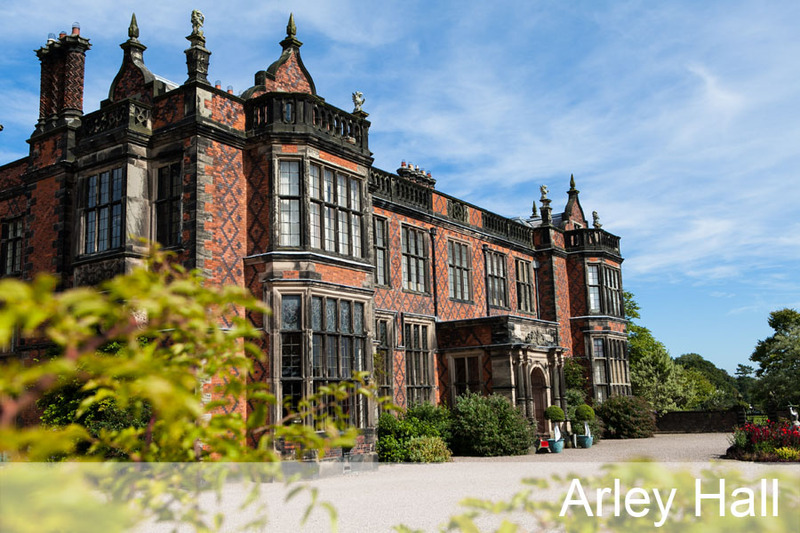 I’d love to photograph your wedding at Arley Hall so please get in touch. Here are some examples of my Arley Hall wedding photography. For more examples of my wedding photography, please see my wedding gallery.